Having panic attacks after taking dry vitamin d3 2000 & 1000 i.u. last few weeks, have also been taking magnesium taurate & chelated glycinate with much success 4x 125/133 mg daily (no gastro side effects when taken in conj w/vitamin d3)..but now afraid to take vitamin d3 due to anxiety...being type 2 diabetic, should I increase my daily magnesium intake (900 mg vice 420 mg) so I can be confident in taking vitamin d3 again (definetly helps my blood sugar levels)? Thanks to you, now a firm believer I'm magnesium deficient & my pdoc should have never put me on below ssri/benzo meds after anxiety attack landed me in ER 3 years ago..all tests came back normal, & it was a couple months later I finally realized that stopping prilosec 20 mg daily reduced my anxiety but have been struggling ever since to get off paxil/ativan meds...my pdoc has never mentioned my magnesium levels being low, how should I approach/question her for testing? Thanks Kerri!...love all the info from your website! Regards, Aaron, from the valley of the sun! You can approach your doctors all you want and get tested for magnesium deficiency all that you want and it's worthless. 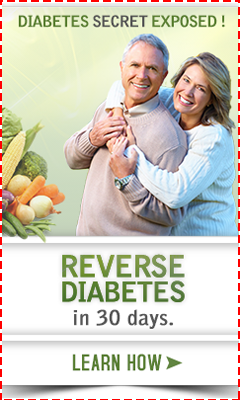 Please see my page on Magnesium Level. So, you can get tested and you'll just get SUPER confused because your magnesium level is likely to be perfectly normal. As far as needing more magnesium due to your diabetes, that wouldn't have anything to do with anything (except you'll just need to watch your levels FAR more closely as they could change). You can find how much magnesium you need on the Magnesium Dosage page. If you are still worried about taking the vitamin d, you may want to follow the instructions for dosing yourself with magnesium for a couple of weeks to get your tissue levels of magnesium 'filled up' to better levels before you take more vitamin d.
By the way, 800 to 1000 IU's of vitamin d is RIDICULOUSLY low. I understand why you will want to only start out at that low of a dosage now, but if you don't have any problems, then increase those dosages VERY VERY quickly until you are taking the correct dosage to bring your levels up to between 50 to 80 ng/ml. If you've not been tested for Vitamin D then you SHOULD absolutely be tested. You will likely be SHOCKED at how low you are and you CANNOT KNOW how much vitamin d to take until you get a vitamin d level. I am sorry there is another person who has gone through panic attacks due to vitamin d supplementation. Our son was in college and taking a Super Nutrition triple power vitamin. He called us to say he wasn't feeling well and was having extreme anxiety/panic attacks. At the time, we never suspected the vitamin. He came home. We stopped all vitamins. I happened to read about magnesium deficiency and started supplementing about 350 mg. a day. We had his rbc test done and it is sufficent now at level 62. 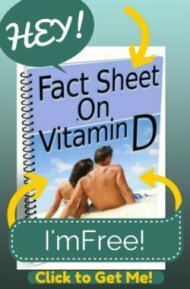 After reading your article I now see that our son's panic attack was caused by 3000 iu vitamin d with very little magnesium in the vitamin. We really appreciate your information. Our son's symptoms now are sleeplessness. We are wondering if you can tell us what level of vitamin d is safe and at what time of day to take them. I have read that vitamin d helps with sleep. Any other advice on a good daily vitamin would be appreciated. Or, should we only supplement magnesium and forget any other supplement.